Ismaiel Hassanein Ahmed obtained his B.A. Literature & Education, Major in Arabic Language, Al-Azhar University, Cairo, 1981; Master of Arts in Islamic Studies, University of the Philippines, Manila, 1990 and Doctor of Education, Major in Religious Education and Values Education, De La Salle University Manila, Philippines 1996. He started his academic career in 1981 when he was appointed as a high school teacher in Al azhar, in Egypt. In 1986 Al-Azhar sent him to the Philippines to teach Arabic and Islamic culture to the Pilipino Muslims in Manila, Philippines where he obtained his MA and ... show more Ph.D. He taught Arabic Language and Islamic studies in the Asian Centre, University of the Philippines and in Taguig Institute of Islamic studies (Maa? ?hd Taguig al-Islami), Taguig, Metro Manila from 1st Oct 1986 until 30th May 1995. He joined International Islamic University Malaysia (IIUM) on 1st June 1995 as a Matriculation lecturer and in 1997 joined the Kulliyyah of Education (then Department of Education, Kulliyyah of IRKHS). He was on secondment as an Arabic Language Lecturer and senior supervisor for the newly appointed lecturers at the Quranic Language Division at the Center for Languages and Pre-University Academic Development (CELPAD) IIUM.2000-2002. In 2003 he was appointed as an Academic Advisor for BED TASL students, Kulliyyah of Education, IIUM until 2009, and he was appointed the Deputy Dean for Postgraduate and Research, Kulliyyah of Education from 2009 until Dec 2014. During his service in Kulliyyah of Education, he won the Best Teacher Award in 2007 and 2009. In 2013, he was awarded a Gold Medal, for research (Human Science categories), university level 2013. 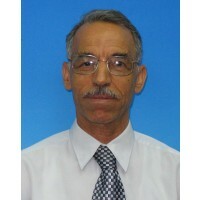 Presently, Dr. Ismaiel Hassanein is an Associate Professor at the Department of Language and Literacy, Kulliyyah of Education.